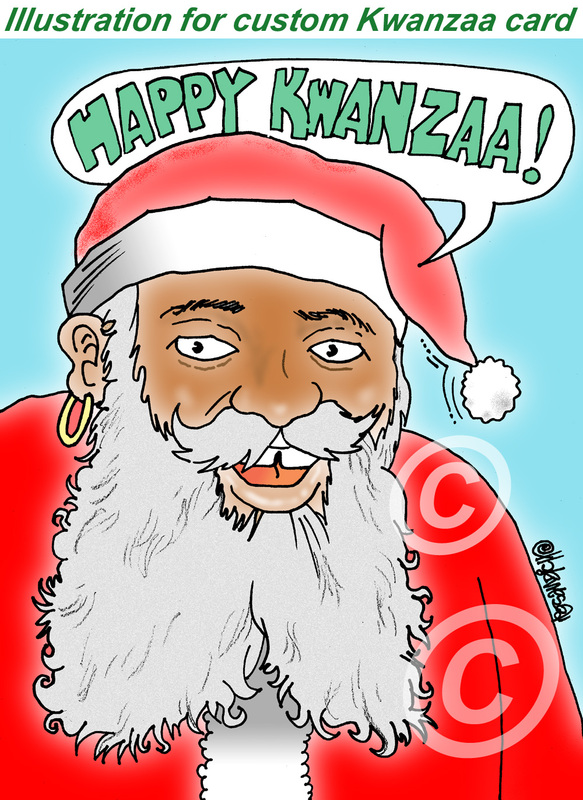 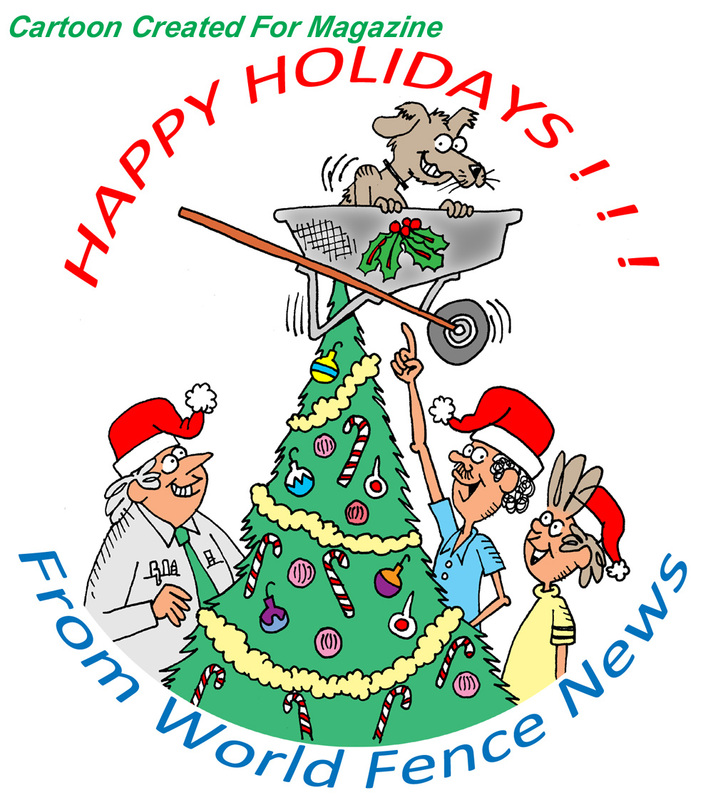 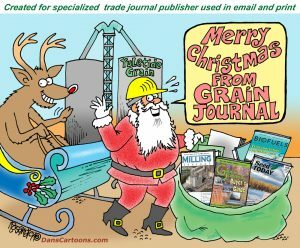 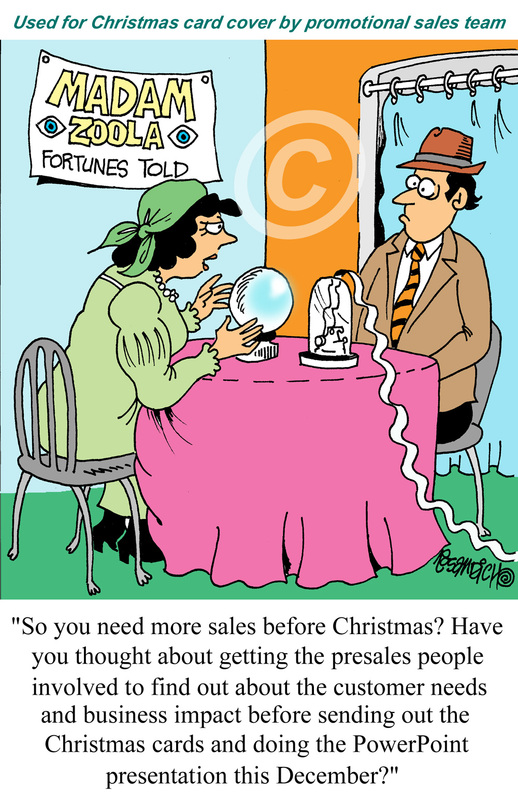 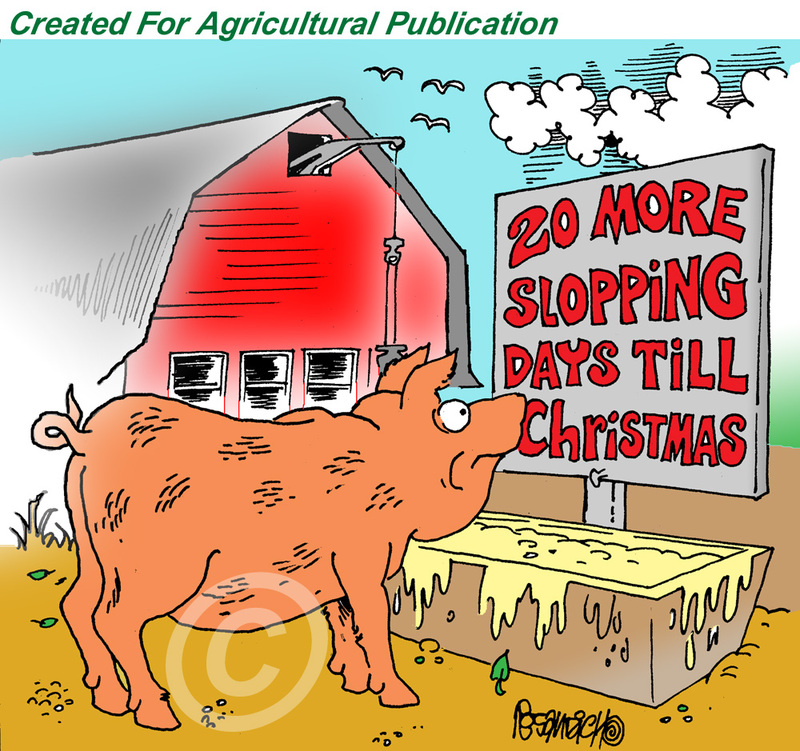 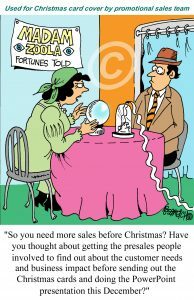 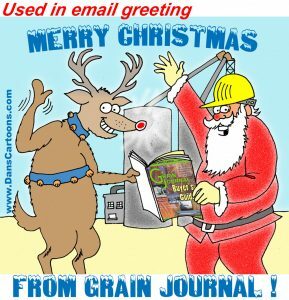 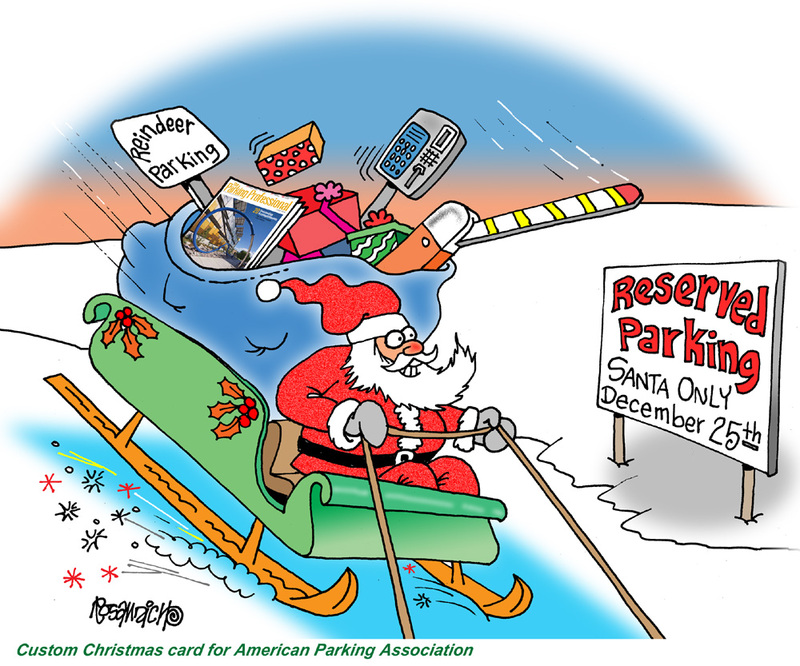 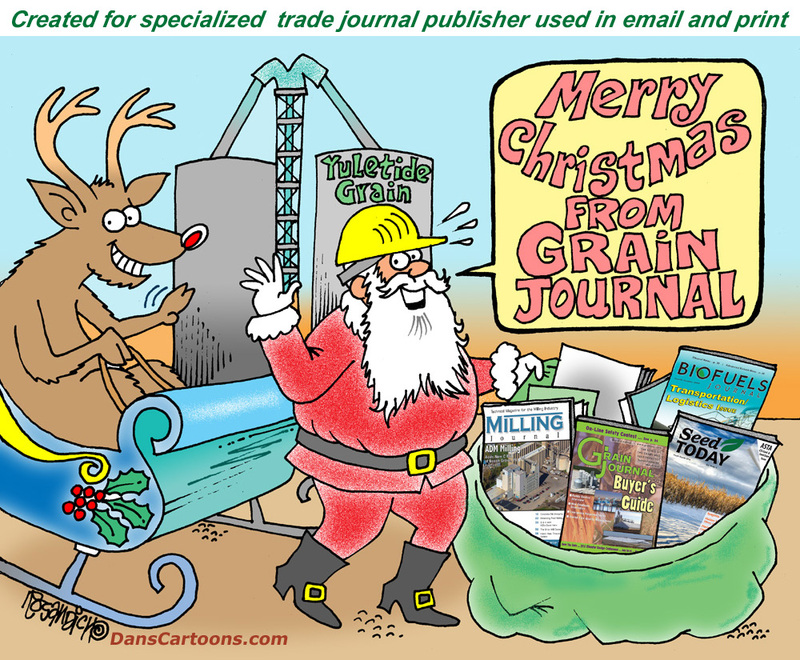 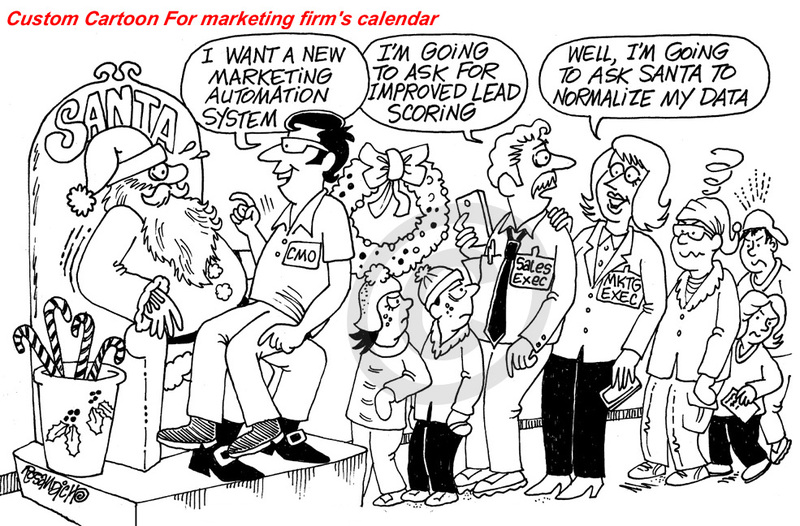 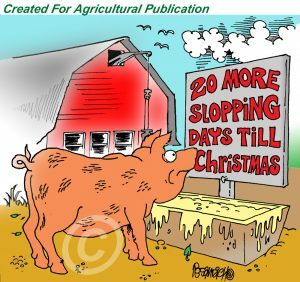 Customized Christmas cartoons are ideal for your corporate Christmas card or annual association holiday greeting card. 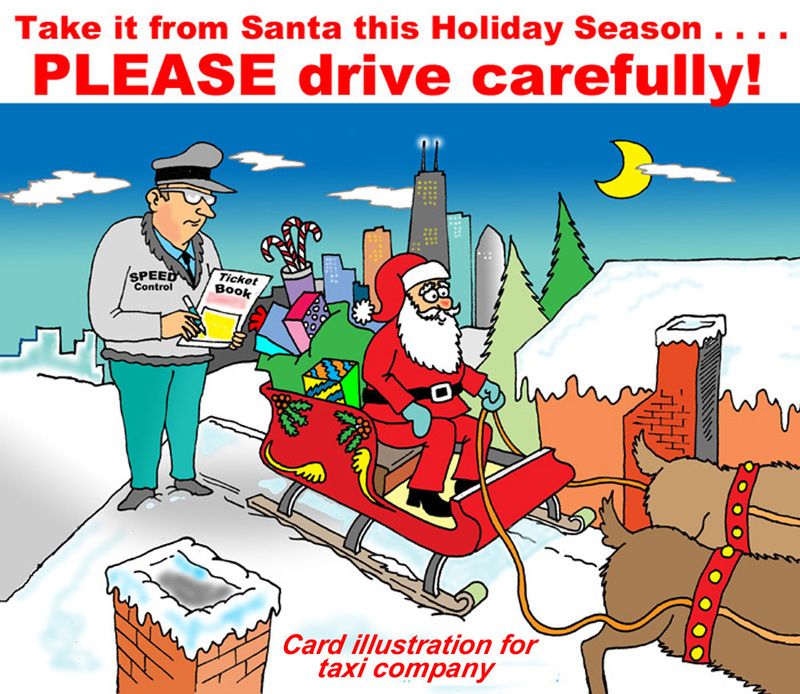 Provide in depth details as to what you need illustrated and I can create a rough sketch, based on this information. The rough outline will be attached in a follow up email for your review. 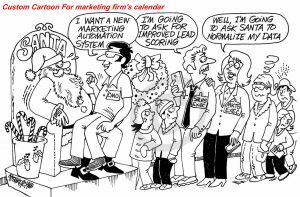 You and your associates can go over the various aspects of the cartoon in question and then advise what needs to be changed or modified. 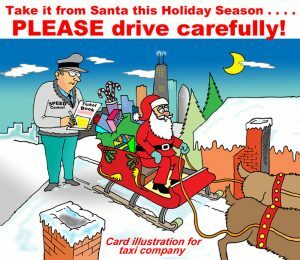 you plan to use the cartoon or humorous illustration. 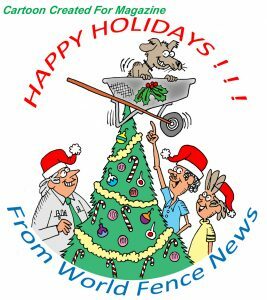 If you need the work in color, please consider this factor, and if you need the image size to a certain width, please specify what that pixel or inch-width width should be. 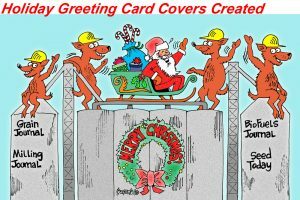 are ideal for use in not only greeting cards but can be used on a postcard or used in a company or association poster to adorn or decorate your offices and / or hallways. 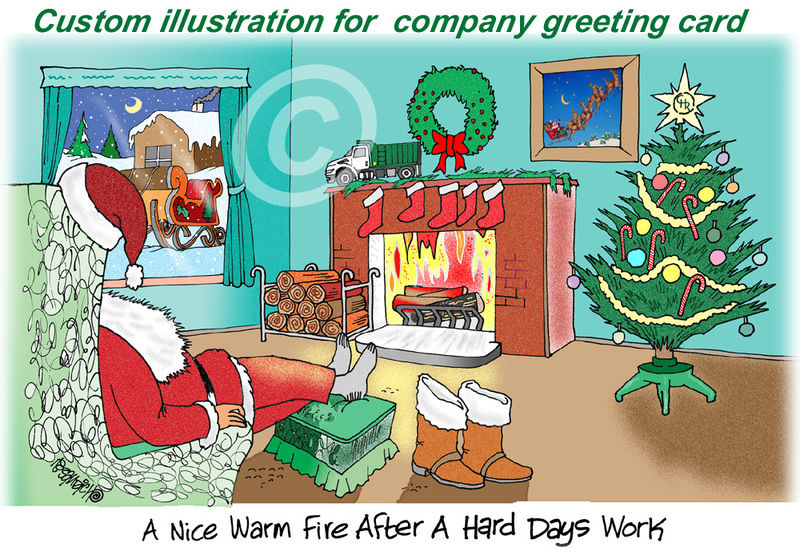 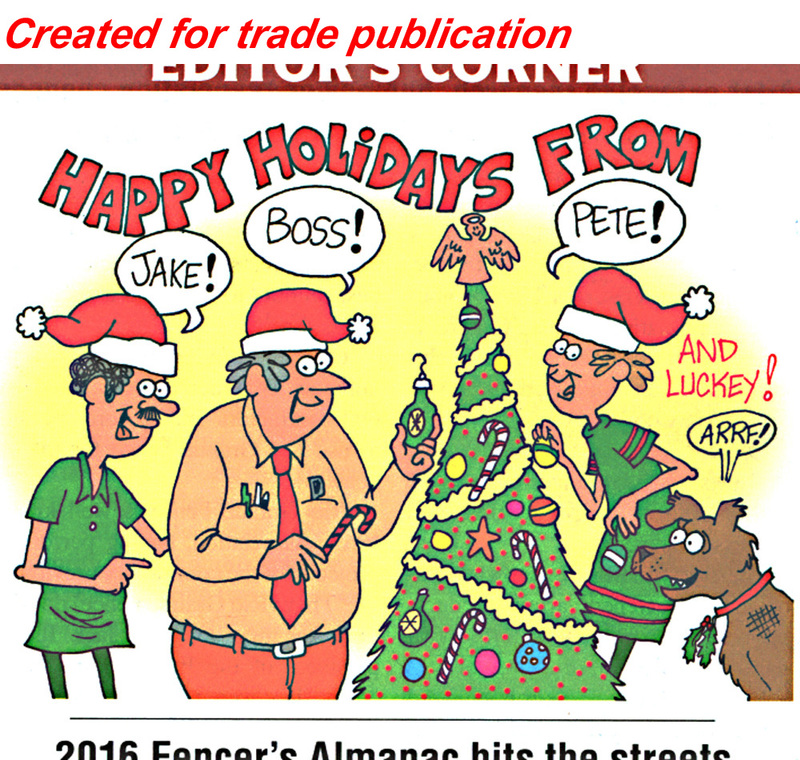 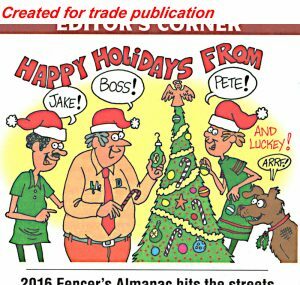 You can also use custom cartoon on calendars t accentuate the Christmas and holiday season. 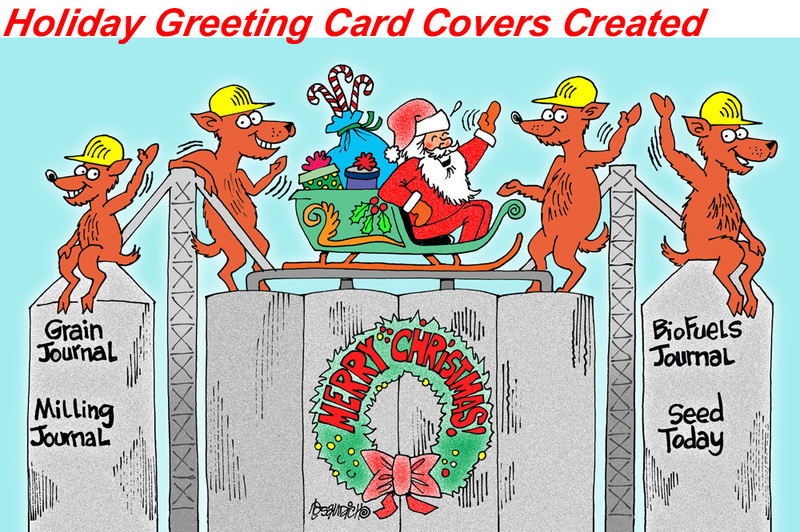 Specialized cartoon illustrations based on any holiday characters can be included into the overall concept and supply all pertinent elements. 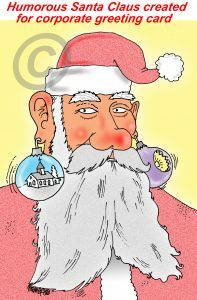 Supplying as many details as you need in the cartoon or illustration work will help in expediting the quote for the work, and will allow less time in producing the artwork. 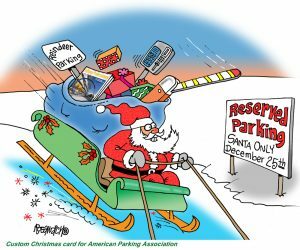 This means you get the artwork faster and can begin importing it into your project or working with your printer on what needs to be done with the printing aspect of the job. Email me at dan@danscartoons.com with questions and see the portfolio samples below.